Professor Anderson is more than 20 years in the technical field of laser therapy is one of the leading figures, is recognized as the founder of modern dermatology laser therapy. He long-term use is recognized as the gold standard for the Candela brand of laser products, and these products was first successfully used in the treatment of vitiligo and vascular birthmarks. Dr. Anderson initiated selective photothermolysis effect theory, completely changed the dermatologic laser operation therapy. He conceived of the current development in the field of medicine widely used multiple scarless laser therapy. These therapies include vitiligo, birthmarks, port-wine stains, vascular and pigmented lesions, tattoos and permanent hair removal treatment. He also worked on the soundtrack, kidney stones, glaucoma, heart disease, photodynamic therapy ( using a light trigger topical drugs in the treatment of cancer and macular degeneration) and optical diagnostics, treatment and research. His research has enriched the human skin photobiology, drug photosensitization mechanisms, human tissue optics and laser tissue interactions in terms of basic knowledge. His current research including the diagnosis of human tissue imaging and spectroscopy, photodynamic therapy, selective laser tissue interaction mechanism, adipose tissue biology and dermatology innovative therapies. 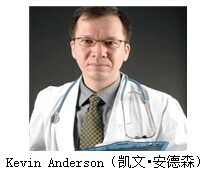 Dr. Anderson60 has a number of American and international patents, co-authored over 250scientific papers and books (part).